PARLIAMENT has no room for mum and redundant legislators who contribute nothing during sessions and committees, Speaker of Parliament Advocate Jacob Mudenda warned yesterday. Addressing portfolio committee chairpersons in Bulawayo, Advocate Mudenda said appropriate action will be taken against silent legislators to avoid wasting taxpayers' funds. He said the non-contributors will be reported to their political parties for inefficiency. "I have not heard or received in writing a complaint from any of the chairpersons complaining that this honourable MP is not contributing. I have said it from the beginning during the induction of legislators that where there is no performance by an honourable Member of Parliament, let us know within one year so that we can advise the party from where that member comes and say that this member has not performed," said Adv Mudenda. He said an audit would be carried out to check on the performance of the legislators. "In the House it's very easy, we will carry out an audit, those who remain silent perpetually, we will advise the respective political parties because you are not representing the interests of that party. You are there, just there keeping quiet. So in committees it's the same, tell me who is giving problems, tell me who is perpetually absent, tell us! You have a register; if you read the rules they clearly tell you that there must be an attendance register. We must do self cleaning," said Adv Mudenda. He said page 153 of the Standing Rules and Orders clearly states that the committee clerk must at the conclusion of any meeting of the select committee, submit to the Clerk of Parliament a return showing the day of the meeting, the hour the committee met and adjourned, the name and time of arrival of any member of the committee who attended a meeting of the Committee from the commencement of its business. Advocate Mudenda said the clerk should also supply the name and time of departure of any member of the Committee who left and did not return before the meeting was adjourned or the committee had concluded its business. The Speaker of Parliament said the rules also demand names of members absent with or without leave and members entitled to sitting allowances. "In the last five years I have not seen an attendance list which indicates continuous absence and those who are absent perpetually are short-changing the tax payer. They are short-changing the party that sponsored them to come to Parliament," said Adv Mudenda. He said legislators must not hide behind their party's whipping system to contribute nothing. "There is this thing of whipping. I belong to a party but I have not heard that you are whipped to say nothing. 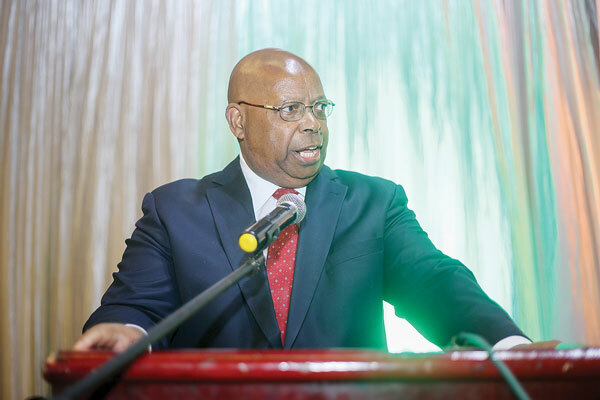 So those that remain quiet should not put forward whipping to cover up for their inactivity and ignorance," said Adv Mudenda. A research carried out by women empowerment non-governmental organisation, the Women in Politics Support Unit (Wipsu) last year showed that only 35 MPs out of 350 have been actively contributing to debates in Parliament in the four years they had been elected. The Wipsu research shows 52 MPs are mum and not contributing at all to debate in Senate and the National Assembly. "Parliament has 350 MPs and as at December 2016, 125 of those are women, which constitutes 34 percent and which is the highest number ever of female MPs," the report read. "As at March 2017, since the beginning of the Eighth Session of Parliament, a cohort of 35 MPs has been speaking actively in both Houses of Parliament while 52 MPs have not said anything and this group of MPs is made up of both men and women."